This insurer announced in March 2011 it intended to file for bankruptcy in Bermuda and the US after its proposed merger with Bayside Capital Partners fell through. Bayside cited a material deterioration in Majestic Capital's capital surplus, an inability to secure regulatory approval for the merger, and a failure to satisfy the closing condition with respect to termination of Majestic Capital's lease for office space in Poughkeepsie, New York on terms acceptable to Bayside. Majestic, formerly known as CRM Holdings, holding company of US compensation specialist Compensation Risk Managers (CRM) LLC, is a provider of workers' compensation insurance in the US through its third-party administration of self-insured trusts. In 2008, CRM voluntarily gave up its trust licence in the state of New York, where there were major concerns for regulators over trusts which had become insolvent and were unable to meet their obligations to injured workers. Majestic Insurance Company, a wholly-owned US insurance subsidiary of the Bermuda firm, has made a non-binding agreement to transfer its current insurance business and loss reserves to AmTrust Financial Services, Inc.
Magna Carta Insurance Incorporated 19 November 2001. Long Term. Maiden Holdings 131 Front Street, 2nd Floor, Hamilton HM 12. 441-298-4900. Holding company for the below-mentioned. Renewal rights and underwriting platform were acquired by Brit Insurance. Formed in May, 2007 to write reinsurance through the latter, to small and mid-size insurance companies in the United States and Europe. Marathon Insurance Company Incorporated 25 March 2002. Class 1. March Global Broking (Bermuda) P. O. Box HM 2444, Hamilton HM JX. Marsh Global Markets (Bermuda) P. O. Box HM 2444, Hamilton HM JX. March International Holdings II See above. MaRI Incorporated December 2006 by Marsh & McLennan, the world’s largest insurance broker, to bring as much as $1 billion in new insurance coverage to clients in disaster-prone areas in 2007 and beyond. Investors include Lehman Brothers Holdings and will offer much-needed property coverage to Fortune 1000 companies in vulnerable parts of North America. It will pay out any claims from hurricanes and earthquakes, and partner ACE Ltd., also based in Bermuda, will cover other losses. This new facility provides large corporate clients of Marsh with access to insurance capacity intended to fill gaps that are creating instability and shortfalls in property catastrophe risk coverage. Traditionally, this form of extra risk capital – a “sidecar” – allows reinsurers to offer more capacity to their clients, the retail insurers. What makes MaRI innovative is that it provides Marsh clients with direct access to the capital markets through a highly-rated ACE delivery vehicle. Mass Mutual International (Bermuda) Now owned by the Argus Insurance Group of Bermuda and operated by its Argus International Life Bermuda.. Until March 2008 one of the companies owned by this Massachusetts-based Mass Mutual Financial Group. Wesley Street, Hamilton HM 11. (441) 299-8828. (441) 299-8813. Established in 1851, MassMutual is a provider of life insurance, fixed and variable annuities, disability income insurance, retirement planning products, money management, mutual funds and other financial security products for individuals and small business owners, as well as for corporate and institutional markets. MassMutual has more than 1,200 sales offices throughout the United States, and international operations in Chile, Argentina and Luxembourg. Master Assurance & Indemnity Formed 3 April 2003. Class 1. Maumee Valley Re Formed 18 October 2002. Class 3. Max Re Capital Moved to Bermuda in 1999. Max Re House, 2 Front Street West, Hamilton. P. O. Box HM 2565, Hamilton HM KX. Phone 296-8800. Fax 296-8811. Opened in 2003 large new offices (24,000 square feet) next to Bluck's. Max Re Reinsurance operating subsidiary of the above. Since 2009. Arising from a merger with IPC Holdings and Max Capital Group Ltd.
Mayfair Reinsurance Company Incorporated 17 November 2003. Class 3. Meadowbrook Risk Management Bermuda-based captive management operation of the Meadowbrook Insurance Group. Belvedere Building, 69 Pitts Bay Road, Hamilton HM 08. Telephone (441) 292-7569. Fax (441) 292-3299. P. O. Box HM 2340, Hamilton HM JX. Brian Stephenson, Managing Director. There is also Meadowbrook International Ltd.
Merrill Lynch Reinsurance Solutions Incorporated 15 November 2001. Class 3. Mendocino Incorporated 3 June 2002. Class 1. Merna Re Formed 2010. Clarendon House, Church Street, Hamilton. Sold $4 billion of catastrophe bonds to transfer some of State Farm Mutual Automobile Insurance Co.'s natural disaster risk to debt investors. The debt was sponsored by State Farm. MetLife International Insurance Bought in 2007 by Northstar Financial Services (Bermuda). A subsidiary of MetLife, a leading provider of insurance and financial services with operations in the US and Latin America, Europe and Asia Pacific. The parent company is the biggest life insurer in the US. Formed July 2013 as a Bermuda-domiciled special purpose insurer. It was established for issuing series of catastrophe bond notes, to support the risk transfer needs of First Mutual Transportation Assurance Co (FMTAC), the New York State-licensed captive insurer and subsidiary of the New York Metropolitan Transportation Authority (MTA). For the first time in the history of the cat bond market, this transaction provides cover just for storm surge, resulting from named storms. Hurricane and tropical storm induced storm surge is included in many US wind cat bonds, so it is not particularly diversifying, but it has never been structured into a cat bond as the sole peril in this way and is an interesting addition to the market that could spur more issuance of storm surge cat bonds. It’s another sign of the increasing maturity and flexibility in the cat bond market, as well as the increasing appetite investors are showing for catastrophe risk. The sponsor, the captive insurer of the New York Mass Transit Authority (MTA), has significant exposure to storm surge, as evidenced by the losses it faced from 2012's hurricane Sandy. The MTA suffered a loss in the region of $5 billion from the storm, predominantly from surge due to flooded transit tunnels and subways, so it is encouraging to see it turn to the catastrophe bond market for a new source of reinsurance protection. Michigan Re Formed by Trenwick. Swan Building, Victoria Street, Hamilton. Mid South Indemnity 37 Reid Street, Hamilton HM 12. P. O. Box HM 1087, Hamilton HM EX. Phone 292-6564. MHI Limited Incorporated in Bermuda 28 February 2002. Class 2. The world's sixth-largest property and casualty insurer. Recently made a bid to buy Kiln for $902 million. Tokio Marine and Nichido Fire is a unit of Millea. Miller Bermuda Formed 2003. Owned by London-based broker Miller Insurance Services Ltd, handling a range of insurance and reinsurance. Milestone Insurance Co. Since 5/30/1995. Associated with other Milestone (non-insurance) companies. MLMIC Insurance (Bermuda) Incorporated in Bermuda 24 October 2001. Class 3. Monte Fort Re A sidecar of Class of Flagstone Re. Named after a tall peak in the Swiss resort of Verbier. Writes a diversified book of industry loss warranty and regular exposures, with a focus on peak zones. Lehman Brothers is believed to be the lead investor. Montpelier Re Since 11/14/2001. Montpelier House, 94 Pitt’s Bay Road, Hamilton. HM08. Phone: 441-296-5550. Property/casualty insurance and reinsurance. Traded on the New York Stock Exchange under the symbol MRH. Class 4. Montpelier Re Holdings Since 11/14/2001. As above. Morgan Stanley Reinsurance Incorporated February 1, 2010 by Apple Management (Bermuda). Class 3. MS Frontier Reinsurance (MSF Re) Since 2002 in Bermuda. Owned by Mitsui Sumitomo Insurance Co, Tokyo-based insurer. Head office is in Bermuda. Second-largest non-life insurer in Japan. Writes property catastrophe reinsurance. In March 2010 it acquired its Dublin-based sister company Mitsui Sumitomo Reinsurance (MSRe), with the same owner. The Bermuda company currently has a subsidiary based in Singapore which performs modeling analysis and a branch office in Zurich, developing business in Europe and exploring new business opportunities in the Middle East and Africa. From January 1, 2013, MS Frontier Re will took over the business written by MSRe, which is primarily short-tailed classes of treaty business on both proportional and excess of loss basis in Europe, Africa, Middle East, Asia and Oceania. MS Frontier Re continues to write the existing classes such as property catastrophe excess treaty on a worldwide basis and property risk excess treaty in North America. Since January 2013. Another Bermuda reinsurer is venturing into the third-party capital asset management arena by launching a sidecar reinsurance vehicle. Launched by Everest Re as a Bermuda domiciled vehicle aimed at attracting investor capital and putting it to use underwriting collateralised reinsurance business. Everest Re will provide initial funding of $50 million to Mt Logan Re, with additional funding secured from third party investors in order to reach a target launch capacity of $250 million. Bermuda-incorporated Since October 2012. Aims to make it easier for investors to generate capital through the reinsurance industry without investing a lot of time, money and talent. Will give smaller hedge fund managers and other private investors a low-cost way to outsource virtually all aspects of setting up and running a reinsurance vehicle — from underwriting to processing claims. Brainchild of Joseph Taussig, of Taussig Capital. Each of the stand-alone class 3A reinsurers set up under Multi-Strat Re will be managed by Bermuda-based Cedar Management, which is a part of the USA Risk Group. USA Risk manages 270 captives around the world. Munich Re Rated A++. One of Bermuda's top re-insurers internationally. Germany-based, the world’s biggest reinsurance company, has listed some of its catastrophe bonds on the Bermuda Stock Exchange. Since July 2013. Assured Guaranty, the Bermuda-based bond-insurer, created this new Bermuda unit to back the debt of American states and cities. It was started with $800 million of cash and securities contributed by two other Assured units and an agreement with those subsidiaries to reinsure $103 billion of municipal bonds that allowed it to set up reserves of $709 million of unearned premium. The new unit was graded AA+ by Kroll Bond Rating Agency, that firm’s second-highest ranking, and two steps lower at AA-by Standard & Poor’s, the ratings companies said in separate statements. Municipal Assurance will guarantee “lower-risk categories” in the US public finance market, Kroll said in its statement. Napco of Bermuda Commerce Building, 54 Reid Street, Hamilton. Phone 292-9266. Fax 292-9302. A new (1993) insurance brokerage company focusing on large property insurance accounts for Fortune 5000 clients. Napco's parent company, Napco LLC, is in Edison, NJ and has branch offices in Dallas and Bermuda. Established 2008. Subsidiary of Chicago-based insurance and reinsurance consultancy Navigant Consulting, Inc. The Armoury Building, Reid Street, Hamilton. Offers full suite of consultancy services to insurance and reinsurance companies, sidecars and captives, including reinsurance advisory services; actuarial services; captive support; claims and run-off management; claims litigation management; underwriting advisory services; merger and acquisition due diligence support; systems consulting; forensic accounting and expert witness testimony. Nemean Reinsurance Co Formed December 10, 2008. Class 3. Nephila Capital Since 1999. Bermuda-based US-focused reinsurance firm, nearly a quarter-owned since 2013 by American-based KKR & Co. Nephila, already the largest asset manager in the insurance-linked securities (ILS) and reinsurance sectors, was set to grow as a result of the tie-up. 2007. Two insurance industry leaders formed this underwriting management company to take advantage of the rapidly changing insurance industry marketplace. James Stanard, former CEO of Renaissance Re and Rod Fox, former CEO of Praetorian, launched it. Wholly owned by F&S Ventures, a privately held investment company. Will generate income from three sources: managing and acquiring large portfolios of insurance risk; managing risk portfolios for insurance carriers; and providing advice and risk analysis to insurers, hedge funds, private equity firms and other investors interested in insurance risks. New Castle Re Formed in 2005 by hedge fund company Citadel Investment Group LLC, which also owns CIG Re. A property catastrophe reinsurer. New Century A pure captive insurance arm and core subsidiary of Mitsubishi Corp.
New Point Re 2006. Class 3. Formed by Harbor Point to write collaterised retrocessional contracts including collateralized industry loss warranties. Established progressively since April 2011 (V in March 2012) by Alterra Capital Holdings Ltd as Special Purpose Insurers sidecar vehicles to create additional capacity for the property catastrophe collateralized reinsurance market, in partnership with Stone Point Capital LLC through its private equity fund, Trident V L.P, with both companies committing up to $100 million in capital. Newman Insurance Co. Formed 6 June 2002. Class 1. Nemorosa Insurance Co. Formed 2 October 2002. Class 1. Network Advantage Insurance Formed 8 May 2003. Class 2. New Ocean Insurance Company Crawford House, 50 Cedar Avenue, Hamilton HM 11. (441) 295-5448 (441) 295-4460. New Olympia Re Since 2007. Cumberland House, 6th Floor, 1 Victoria Street, Hamilton HM 11. Nevada Subcontractors Insurance Formed 14 August 2002. NFI International Formed 14 August 2002. Class 1. Nordica Life (Bermuda) Windsor Place, Church, Queen and Reid Streets, Hamilton. Norton Re December 2006, Class 3. Owned in part by Brit Insurance Holdings Plc, a Lloyd’s of London insurer, and international institutional investors, to provide coverage for catastrophes. Norton Re 2010 Reinsurance Formed November 2009, by JLT Insurance Managers (Bermuda). Class 3A. 2009. Formed by Novae Group plc. With a materially expanded range of reinsurance products, including specialist classes such as agriculture and engineering, which have traditionally not come to the London market, further diversifying the group's product range, and shortening the tail of its book overall. Novia (Bermuda) Formed 9 October 2002. Class 3. Oak Leaf Re Since June 23, 2011, as a special purpose insurer (SPI), formed by Horseshoe Management. Oceanic Insurance Dallas Building, 7 Victoria Street, Hamilton HM 11. Phone 292-9157. Fax 292-8992. Ocean Re Formed 17 December 2001. Established by JP Morgan Chase but owned by a Bermuda-based trust. Capital US$ 120,000. Class 3. OE Insurance Formed May 27, 2011 as a Class 1 insurer by Aon Insurance Managers (Bermuda). Oglesby Re Provides excess of loss catastrophe reinsurance to State Farm under the terms of a three-year reinsurance agreement. Owned by Bloomington, Illinois-based State Farm. Class 3. Merna Re provides fully-collateralized excess of loss catastrophe reinsurance to Oglesby Reinsurance under the terms of a three-year retrocession agreement. Old Broad Street Reinsurance Co. Formed 27 December 2001. Long Term. Oil Insurance Since 1971 a mutual insurance company originally designed to meet the liability needs of the oil industry. One of the principal Bermuda companies. A subsidiary of Oil Insurance Group. Oil Casualty Insurance (OCIL) Same ownership as Oil Insurance Ltd. Established in 1986 for the energy industry. Some 68 oil companies worldwide are shareholders. A subsidiary of Oil Insurance Group. In January 2013 it announced the introduction of a new line of insurance, all risk property insurance on a direct and facultative reinsurance basis for energy companies. The objective is to develop a book of onshore and offshore energy business using OCIL’s Bermuda based distribution channel. OCIL’s targeted underwriting segments for property include: refining and marketing, petrochemical and chemical, integrated oil, exploration and production, pipelines, utilities and mining companies. Property and business interruption coverage will be provided for both operational and construction exposures. With the introduction of direct property to OCIL’s product portfolio, the company states it now has a diversified risk profile which includes excess liability, excess property, and property/casualty reinsurance. Oil Newco Incorporated 18 January 2001. Class 2. Old Mutual Bermuda Washington Mall, Hamilton HM 11. Phone 296-1201. South Africa's biggest insurer, asset managers, London-based. In March 2009 it announced it was closing its Bermuda-based US life-insurance unit to new customers to control potential liabilities and cut costs. Since September 2008. Management consulting firm, to help Bermuda's re/insurance industry to reduce their exposure to sub-prime and credit crisis and take advantage of new business and clients. Meanwhile the company released a report entitled 'The Road Ahead' on the opportunities and challenges facing the Island's re/insurers, who account for eight percent of the world's property and casualty exposure, with issues ranging from talent strategies and changing insurance regulations to an increasingly sophisticated client base and market substitutes for traditional reinsurance. Oliver Wyman is an operating unit of MMC, which also owns Marsh and Guy Carpenter, sister firms with operations in Bermuda serving the insurance sector. It has been serving the Bermuda market, including corporations and non-profit organizations for the past 10 years and has a net worth in excess of $1.5 billion. It uses industry knowledge, specialized expertise in strategy, operations, risk management, organizational transformation and leadership development. It advises its clients on optimizing their business, improving their operations and risk profile and speed up their organizational performance. Olympus Reinsurance Cumberland House, 1 Victoria Street, Hamilton. Phone 296-4803. Incorporated 3 December 2001 by US-based Leucadia National Corporation, Gilbert Global Equity Partners and Franklin Mutual Advisors. A ‘sidecar’ reinsurer, established to provide reinsurance capacity to a larger reinsurer – White Mountains. Class 4. Omega Insurance Holdings Bermuda-based insurer. In 2012 London insurer Canopius Group made an all-cash offer for it. OneBeacon Insurance Group It's US HQ is now Canton, MA. Since 2007. Reinsurance. Subsidiary of O-Re Holdings UK Ltd. Argus Building, 12 Wesley Street, Hamilton HM 11. Op Re Formed 19 November 2001. Class 3. Opus Energy Risk Formed 12 August 2002. Class 1. Ordinance Holdings Suite 306, Commerce Building, #1 Chancery Lane, Hamilton, Bermuda HM12. Phone 296- 1758. Cellular: 799-4377. Fax: 295-4957. Overseas Partners Re Ltd One of the largest reinsurers. Local office is at P. O. Box HM 1581, Hamilton HM BX. Overseas Reinsurance Corporation Rated B++. 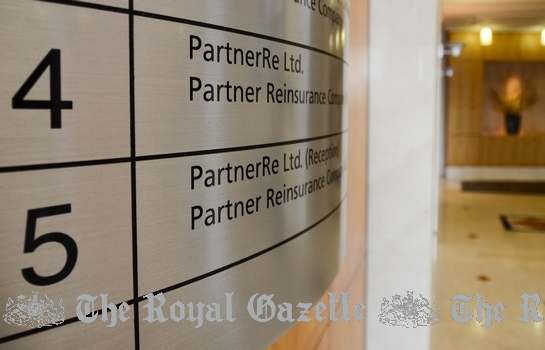 One of Bermuda's reinsurers internationally. Owned since 2001 by Revir Ltd.
Oxford Alliance Insurance Company Ltd Formed 19 June 2002. Class 2. 2008. Launched by Oxygen Brokers as a specialty reinsurance brokerage division, in conjunction with the incorporation of Oxygen Insurance (Bermuda). Caters to commercial lines such as non-marine, marine and aviation treaty reinsurance. Since December 2012. Class 4. Formed by Bermuda reinsurer Validus Holdings and hedge fund manager John Paulson whose New York-based company, Paulson & Co, will manage PaCRe’s assets, while Validus will carry out the underwriting. Paulson & Co is the latest hedge fund to become involved in Bermuda’s reinsurance industry, following Daniel Loeb’s Third Point and Steven Cohen’s SAC Capital Advisors, who have each set up reinsurers on the Island in recent months. Paulson & Co has approximately $24 billion in assets under management and has offices in New York, London and Hong Kong. P&H Insurance Group Formed April 2011. Class 1 insurer. Paget Reinsurance Formed October 23, 2007. A subsidiary of ACE Bermuda Insurance. Class 3 and long-term insurer, provides customers throughout the world with creative and flexible rent-a-captive facilities to support their risk management programmes. Wellesley House South, 90 Pitts Bay Road, Pembroke HM08. Phone +1 441 292 0888. Fax +1 441 292 6080. Pangaea Reinsurance I Formed May 28, 2011 as a Special-Purpose insurer (SPI) by HSBC Insurance Management (Bermuda). Pangaea Reinsurance II Formed May 28, 2011 as a Special-Purpose insurer (SPI) by HSBC Insurance Management (Bermuda). Panther Re Bermuda 2006, Class 3. Started by Hiscox Syndicate 33 and Panther Re as the first sidecar involving a Lloyd's syndicate. Paperchine Insurance A Wrenford investment, a 100% owned subsidiary that invests in reinsurance. It buys participation in risk pools and makes money on the premiums paid. It can also use its capital just to draw interest. Since October 2010. Bermuda-domiciled Insurer and re-insurer. The company has no physical presence in Bermuda but has platforms in the Lloyd’s of London market and in the US. Established by the executive team of US insurer ICAT Holdings, led by chairman and chief executive officer Jack Graham and backed by private investors, including Wand Partners, Inc. and Elliott Management Corporation. ICAT, which is based in Boulder, Colorado and underwrites through the Lloyd's of London market, has been acquired by Paraline from private investor Vulcan, Inc.
Paris Re Bermuda 2006, Class 4, formed by a consortium of investors as part of a bid to take over the reinsurance business of French insurer Axa SA. Partner Re Bermuda Class 3. Rated A+. Bermuda's #3 reinsurer internationally. Chesney House (at The Waterfront), 96 Pitts Bay Road, Pembroke HM 08, Bermuda - above Miles Market at the Waterfront. Pearl Re Formed September 24, 2008. Class 3 reinsurer. 2006, Class 3, reinsurer. A wholly owned subsidiary of Argo Group International Holdings. Pendulum Re Formed November 18, 2010 by Horseshoe Management as an SPI. Pen Indemnity Insurance Company 2006, Class 3. Pentelia Capital Management A 2007 asset management company investing in a diversified portfolio of life and non-life insurance-linked assets including adverse mortality bonds, weather derivatives, terrorism insurance, life settlements, cat bonds and property catastrophe reinsurance. Pentelia Re Offers direct reinsurance coverage for Pentelia Capital Management and elsewhere. Performance Insurance Co. Formed 14 June. Class 1. Petrel Re From May 2006, Class 3, Validus’ fully collateralized sidecar, by a third party investor to provide retro reinsurance coverage to Validus for marine and offshore energy lines of business. Equity investor is “one or more private investment funds” managed by First Reserve Corporation. Pharmaceutical Insurance Formed 28 February 2003 as a mutual by seven of the world's largest pharmaceutical companies including AstraZeneca and GlaxoSmithKline. Managed by Willis Group Holdings Ltd. Class 2. Since March 2013. Formed by Philadelphia Financial Life Insurance Company to launch international private placement life and annuity business. Philadelphia Financial now has the ability to offer solutions from both US domiciled carriers and Bermuda domiciled carriers. Pin Drop Insurance Formed 30 October 2001 as a direct result of the tragic September 11, 2001 World Trade Center and related events. Class 3. Platinum Underwriters Holdings Formed 2002 by St. Paul Companies. It will reinsure St. Paul Fire & Marine Insurance Company and St. Paul Reinsurance Company Ltd for certain insurance contacts. Platinum has subsidiaries in the USA and UK. Class 4. Playtex Enterprise Risk Management Formed 3 July 2002. Class 1. PMG Assurance 1999. Victoria Hall, 11 Victoria Street, Hamilton HM 11. (441) 295-4996. (441) 292-4617 Bermuda-based captive insurance company of the Sony Corporation. Premier Life (Bermuda) Richmond House, Par la Ville Road, Hamilton. Recently acquired by Winterthur Life from Standard Management Corporation (SMAN) of Indianapolis, a main subsidiary of which is Standard Life. Prentice Donegan & Partners Established independent insurance broking company operating at Lloyds of London, now a Licensed Broker in Bermuda. Address c/o 41 Cedar Avenue, Hamilton HM 12. Bermuda HM12. Phone (441) 296-6968. Primary Formed 2 January 2002. Class 3. Primus Guaranty Offers protection against the risk of default on corporate and sovereign obligations through Primus Financial Products LLC. Continues to focus on growing its credit swap portfolio at good risk adjusted returns while continuing to expand into asset management. In 2008 it managed $24.2 billion in credit-default swaps, financial instruments based on bonds and loans that are used to speculate on the ability of companies or other borrowers to repay their debt. They pay the buyer face value in exchange for the underlying securities or the cash equivalent should the borrowers fail to adhere to their debt agreements. PRG-Schultz Insurance Formed 20 February 2002. Class 1. Professional Asset Indemnity Owned by the "Big 5" accounting firms. Professional Insurance FB Perry Building, Church Street, Hamilton. Phone 295-1272. Professional Services Insurance Company Bermuda captive of international auditing firm Arthur Anderson. Based at the offices of lawyers Conyers Dill & Pearman, Hamilton. Since 2010. Collaterized Class 3 focused on the retro market. May close after billionaire George Soros pulled his funds. Founded by two former Renaissance Re executives, Michael Cash and the late Bill Riker, with the backing of Mr Soros through his hedge fund manager Soros Funds Management. Has offices in Bermuda, London, Zurich and Doha. Quaestus Life International Windsor Place, Church, Queen and Reid Streets, Hamilton. Quality Assurance Formed 13 May 2003. Class 1. Quanta Reinsurance US Cumberland House, Victoria Street, Hamilton. Formed 6 June 2003, now with $500 million in capital. Underwrites direct excess liability and/or property catastrophe. Class 4. Queens Island Reinsurance Formed 12 December 2001. Capital up to US$1 billion. Class 4. Quellos (Bermuda) Formed 2002. A life insurance, advisory and brokerage company. P. O. Box HM 1015, Hamilton. Quest Insurance Solutions Scandia International House, 16 Church Street, Hamilton. Phone 295-2185. Fax 292-1143. RB Insurance Company Formed 29 November 2001. Class 2. R. K. Carvill (Reinsurance Brokers) 2 Wesley Street, Hamilton HM 11. Phone 295-2005. One of the companies owned by Rory Carvill, British, worth at least $36 million, one of the 500 richest British men. Red Iron Insurance Formed 14 September 2001. Class 3. Since 2009. 61 Front Street, Hamilton. London-based insurance and reinsurance broker. The group employs some 300 people in London. Its major lines include marine, non-marine reinsurance and insurance, and its North American chiefly excess and surplus lines business. With representative offices in Tokyo, Moscow, Kiev and Dubai. The Bermuda office is different in that it will write business. About 38 percent owned by Fleming Family and Partners. RFIB, founded in 1980, was originally owned by the Robert Fleming & Co. Bank. Renaissance Re One of the top Bermuda reinsurers internationally. Renaissance House, East Broadway, P. O. Box HM 2527, Hamilton HM GX, Bermuda. Phone 295-4513. Fax 292-9453. Rescare Insurance Subsidiary Corporation (RISC) Formed November 1, 2002. Class 1. Reshore Risk Management Formed 14 April 2003. Class 2. Residual Solutions International Incorporated 18 November 2003. Class 3. Restaurant Reinsurance Formed 16 January 2002. Class 3. Retention Alternatives Incorporated 13 June 2002. Class 1. Rhine Re Controlled by RR Holding C o. Ltd of Switzerland. One of the top 35 reinsurance groups in the world. Risk Partners Assurance Formed 21 September 2001. Class 3. RHS Medinsur Formed 30 May 2003. Class 1. RI Insurance Formed 22 August 2002. Class 1. R. K. Carvill (Insurance) Formed 14 April 2003. Class 1. Rmang Assurance Formed 5 May 2003. Class 1. Rockford Health Insurance Formed 9 September 2002. Class 1. Roundstone Insurance Formed 20 October 2003. Class 3. Rubik Reinsurance Since January 2014. Class 3A. Ruxton Insurance Company Formed 16 May 2003. Class 1. R.V.I Guaranty Co. Formed in 1989. World's largest professional residual value insurer, owned by Continental Casualty Company and Quantum Industrial Partners. The Zurich Centre North, First Floor, 90 Pitts Bay Road. U.S. subsidiary is R.V.I. America Insurance Company, 177 Broad St., Ninth Floor, Stamford, CT 06901. Phone (203) 795-2122. Sage Life (Bermuda) Continental Building, 25 Church Street, Hamilton HM 12. Phone 294-4600. Fax 295-8407. Life insurance subsidiary of London-based Old Mutual Plc life assurer. St. Michaels Insurance Formed 31 October 2002. Class 1. San Jose Insurance Formed 14 August 2002. Class 1. Scandinavian Reinsurance Co Bank of Butterfield Bldg, 6th Floor, 42 Reid Street, Hamilton HM 11. Phone 295-2743. Fax 292-6580. One of the principal Bermuda companies. Scottish Annuity & Life Holdings (Bermuda) Moved its corporate headquarters to Bermuda in July 2001 from Cayman Islands, but a US company with operating companies in Charlotte, Dublin and Grand Cayman. Provides reinsurance of life insurance and annuities and is a direct issuer of customized variable life and annuity products to high net worth individuals. Scottish Re Group Ltd Life reinsurer. Selic Holdings (Selic) Since June 2013. Formed by American International Group, Inc (AIG) and General Re Corporation (GRN). Seahouse Insurance 44 Church Street, 3rd Floor, Hamilton HM 12. Phone 295-1077. Sencare Risk Services Formed 20 March 2002. Class 2. Servicepro Incorporated 3 June 2002. Class 2. Sentinel Insurance Company Armoury Building, 37 Reid Street, Hamilton HM 11. (441) 292-6564. (441) 292-6796. (It went into the first stages of receivership on March 14, 2001). sEnergy Insurance Formed May 2002 by Oil Insurance Ltd and Oil Casualty Insurance Ltd to provide a $200 million limit for property risks in excess of $250 million and business interruption risks in excess of $50 million for companies in the energy fields. Capitalized by oil and chemical companies in USA, Canada, South Africa, Denmark and Norway. Seven Oaks Insurance Formed February 3, 2009. Class 2, created by Marsh Management Services (Bermuda). Shipowners Insurance & Guaranty Company (Sigco) 10-12 Burnaby Street, Hamilton HM 11. (441) 298-0600. (441) 298-0610. Shoreline Re Formed May 27, 2011 as a Special Purpose Insurer by Horseshoe Management. Sideris Re A 2007 platform that extends First Reserve Corporation's presence in the insurance segment of the energy value chain. Siena Reinsurance Formed 24 October 2001. Class 3. Sigma-Aldrich Insurance Formed November 13, 2002. Class 1. Sigma Reinsurance December 5, 2008. Class 3. Signal Risk Insurance Formed February 10, 2011 by Aon Insurance Manager (Bermuda). Silverton Re Since October 2013, Special Purpose Insurer, created by Aspen Re, with backing of $65 million, run by Aspen Capital Markets, to tap into new sources of finance. Silverton Re will reinsure a proportionate share of Aspens global property catastrophe excess of loss portfolio. Aspen Re is part of Aspen Insurance Holdings, which had gross written premiums of $1.2 billion in 2012. The firm offers a broad range of speciality reinsurance cover and has offices in the US, the UK, Switzerland, France, Germany and Singapore, as well as Bermuda. Sinser Insurance Skandia International House, 16 Church Street, Hamilton HM 11. (441) 295-2482. (441) 292-1143. Until recently, owned by Skandia. One of the largest captive managers in Bermuda after Aon and Marsh. Now owned by Nicholas Dove, Adrian Lee-Amory, Nicholas Frost and Larry Turnbull. Sirius International Insurance Corp Since July 6, 2009. Class 4. Sirocco Re 2006, Class 3, sidecar of Lancashire Insurance Holdings, to assume some of its Gulf of Mexico offshore energy risk. Sirva Insurance & Reinsurance Company Formed 6 May 2003. Class 3. Six Pines Insurance Formed February 2002. Class 2. Wound up 2011, policies cancelled December 2011. Sovereign Risk Insurance C/o ACE Bermuda Insurance Ltd, P. O. Box HM 1015, Hamilton, Bermuda.. A political risk insurer and reinsurer, a joint venture between ACE and XL. Special Insurance Risk Services Formed 1 May 2002. Class 3. Special Risk Insurance & Reinsurance Luxembourg (SRIRL) Formed July 2002 by XL Capital, Allianz, Hannover Re, Swiss Re and Zurich to provide terrorism cover for companies in Europe. Standard Life Assurance Company of Canada (The) Formed 2006, Class 4 Long Term. Starbound Reinsurance Since June 2006. Class 3. A so-called ‘sidecar’ established to provide reinsurance to Renaissance Re. Under a quota-share agreement, RenRe can cede, or pass, on 80 percent of the premium from specific property catastrophe business. About three-quarters of the risks spread to Starbound will be Florida-based. Starr Excess Liability Insurance Company Since June 2013. Formed by American International Group, Inc (AIG) and General Re Corporation (GRN). A wholly owned subsidiary of Selic Holdings (Selic). Starr Excess will specialize in providing excess general liability insurance, excess directors and officers liability insurance, and possibly other excess insurance at high attachment points. It will offer general liability coverage in excess of minimum attachment points of $50 million, with maximum policy limits of $100 million, and directors and officers liability coverage in excess of minimum attachment points of $50 million, with maximum policy limits of $50 million. All coverage will be written on a claims-made basis. Starr Excess's policyholders are expected to be principally large multinational corporations and financial institutions worldwide, with its business generated primarily through brokers. Starr Excess will not conduct any business in the United States. Starr Insurance and Reinsurance Incorporated April 2007, class 4. Also known as Starr International Insurance, it underwrites submissions from a group of speciality insurance agencies Starr Underwriting Agencies owned by CV Starr & Co Inc of Maiden Lane, New York, since 2007. It targets industrial, commercial, retail and government entity risks globally and accesses business produced by Starr Underwriting Agencies in Europe and Asia. In May 2011 acquired a 20 percent stake in Chinese property re/insurer Dazhong Insurance Co Ltd. The China Insurance Regulatory Commission (CIRC) has approved Dazhong Insurance to issue an additional 286.5 million ordinary shares to Starr. Following this, Starr, which is also known as Starr International and whose chairman is former AIG boss Maurice (Hank) Greenberg, became Dazhong’s strategic investor. Dazhong was established in 1995 by 26 companies, with registered capital of 1.15 billion yuan. It writes property insurance and reinsurance in Shanghai and in the provinces of Jiangsu, Zhejiang, Anhui, Fujian and Shandong. Stellar Insurance Formed 12 December 2001. Class 3. Stellar Re (FGI) January 2006. Class 3. Stewardship Reinsurance Formed 14 April 2003. Class 2. Stockton Reinsurance P. O. Box HM 2909, Hamilton HM LX. Stone Point Capital Formed July 2013 by XL Group as a private equity firm which will focus on insurance-linked securities and other reinsurance products. It will act as an investment manager in ILS and other reinsurance capital markets products. XL has a 75 percent ownership stake in the company and funds managed by Stone Point have the remaining 25 percent ownership. Solution Insurance Formed 3 June 2002. Class 1. Sovereign Risk Insurance Wessex House, 5th Floor, 45 Reid Street, Hamilton HM 12. Phone 296-4279. Fax 296-4281. Sumit Insurance Formed February 2, 2009, Class 3, by Aon Insurance Managers (Bermuda). Sun Life Financial Services P. O. Box HM 3070, Hamilton HM NX. Sun Life’s presence in Bermuda goes back more than a century, with it's first office opening in 1881. In 2010 there were 50 employees headquartered in Hamilton. They issue life insurance, annuity and investment products in Bermuda for the international offshore market through Sun Life Assurance Company of Canada and Sun Life Financial Investments (Bermuda) Ltd. The international U.S.-dollar denominated products issued in Bermuda are specially designed for high-net-worth investors residing outside of the United States, Canada or Bermuda. The Bermuda Financial Centre of Sun Life Assurance Company of Canada provides ongoing service to current insurance policies and group retirement plans in Bermuda. Since June 2005 Sun Life has no longer offered new products for Bermuda residents. Swan Re Since January 2014, class 3A. SWBC Re Incorporated July 2007 by Texas-based Southwest Business Corporation (SWBC), with offices in 27 states across the country and now Bermuda. SWBC provides a range of insurance, mortgage and investment services to financial institutions, businesses and consumers. Swiss Reinsurance Company Until June 2009 at Mintflower Place, 8 Par-la-Ville Road, Hamilton HM 08. Telephone (441) 295-8907. World's largest reinsurer. At least four more Swiss Re associated companies in Bermuda are at the same address. After June 2009 relocates from Bermuda to Europe. Syncora Holdings Formerly Security Capital Assurance. Formed March 2006 for the sole purpose of becoming the parent company to XL Capital Assurance and XL Financial Assurance. Bond insurer, also insures complex financial instruments such as collateralized debt obligations, backed by assets including mortgage debt. System and Affiliate Members Formed 22 July 2002. Class 2. Taisei Reinsurance (Bermuda) Formed 2 October 2002. Class 3. Talbot Holdings Underwriter at Lloyd's. Parent of a Bermuda-based group with diverse risks. Tamcap Insurance Co. Formed December 23, 2008. Class 3. Tankerdere Indemnity Formed 17 December 2001. Class 1. Tantalon International Insurance Formed 25 March 2002. Class 1. Telluride Insurance Formed June 6, 2011 as a Class 1 by Marsh IAS Management Services. Terra Nova Bermuda Holding Richmond House, 12 Par La Ville Road, Hamilton 11. Phone 441 292-7731. Thamesis Insurance & Surety Formed October 17, 2007. The Property and Casualty Reinsurance Company of Bermuda Formed July 26, 2010 as a Class 3 re/insurer by Horseshoe Management. 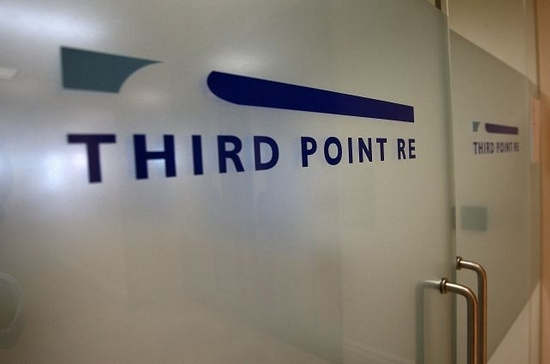 Third Point Re Since December 2011, established by Daniel Loeb of Third Point LLC, an $8 billion hedge fund. Chesney House, Pitt's Bay Road, Pembroke. Thunderbird Re Lloyd’s of London’s first sidecar. Tiberius Reinsurance Co. Formed June 11, 2008. Class 3. Tillinghast, Nelson & Warren (Bermuda) P. O. Box HM 1359, Hamilton HM FX. Actuaries. A sidecar of Bermuda-based Renaissance Re, create additional reinsurance capacity for their property catastrophe business, covering primarily hurricane risks for Florida insurers during the 2012 hurricane season. Managed by Renaissance Underwriting Managers. Tokio Millennium Re (TMR) Since October 2013. Class 3B. The Waterfront, 90 Pitts Bay Road, Pembroke HM 08. Phone 296-6700. Fax 296- 8780. Bermuda's first major Japanese insurance company with a physical presence. Has prospered with a business model unique to the larger Bermuda re/insurance companies. A wholly-owned subsidiary of Tokio Marine and Nichido Fire Insurance Co. Ltd. (Tokio Marine), the oldest and largest non-life insurance company in Japan. The Tokio Marine Group has annual operating income of more than $20 billion. It underwrites large amounts of Japanese windstorm and earthquake risks, and TMR was set up to diversify the parent's book geographically, by underwriting such risks outside Japan. This firm recently redomiciled to Switzerland, but stated at the time their collateralised and ILS solutions arm would remain in Bermuda. A Tokio Millennium Re (TMR) subsidiary, Tokio Solution Management and GC Securities teamed up to create and launch this new private catastrophe bond platform. It will bring catastrophe bond sponsors a more efficient solution for funding excess of loss catastrophe reinsurance in the capital markets. Tokio Solution Management is a leader in the risk transformation business, and GC Securities, an arm of Guy Carpenter - a March and McLennan Company - and division of US broker/dealer MMC Securities Corp, is a leader in the catastrophe bond market, have collaborated. Tokio Solution will provide clients the ability to sponsor catastrophe bond transactions through Shima Reinsurance, the Bermuda domiciled Class III Segregated Accounts Company of TMR. GC Securities will serve as a placement agent for each of the private placements through Shima Re. The name Tokio Tensai is derived from the Japanese word “Tensai,” which in English means “Genius” and “Act of God” — an appropriate reference for a product that is innovative and covers catastrophe risks, th companies noted. The English translation of Shima is “Island." Top Layer Reinsurance Based out of the offices of Renaissance Re. Joint venture with State Farm. Since January 1999. Top Sail Re (SAC) Formed 17 January 2002. Class 3. Torus Insurance Holdings (Bermuda) Since June 2007. Class 4. Launched with a $720 million equity funding from private equity from First Reserve Corporation which specializes in the energy sector. Additional equity investment of $185 million to support the continued expansion of its specialty re/insurance reinsurance business came in 2010 from Corsair Capital of New York and increased the global specialty insurer's equity capital to more than $1 billion with $150 million from Corsair. Operates Torus Insurance (UK) Ltd in London, and Torus Insurance (Bermuda) Ltd., in Bermuda. A technical lines insurer specializing in large complex risks with a focus on the energy sector. Its areas of expertise include energy, power, utility and construction and other highly-engineered risk classes. In December 2008 Torus acquired the renewal rates of New Castle Re, a three-year-old Bermuda reinsurer owned by hedge fund Citadel, which had moved out of the reinsurance business. Torus is now owned by Enstar. Torus Insurance (UK) Since July 21, 2009. Class 3. Class 3. Incorporated by Torus (Bermuda) Services. Tower Group International Crown House 3rd Floor, 4 Par-la-Ville Road, Hamilton, HM 08, Bermuda. Phone (441) 279-6610. Bermuda-based global diversified insurance and reinsurance holding company. Its insurance subsidiaries are focused on providing commercial, personal and specialty insurance and reinsurance products and are rated A- (Excellent) by A.M. Best. Listed on the NASDAQ Global Select Market under the symbol TWGP. One of the 50 largest providers of property and casualty insurance products and services in the U.S. Tower provides personal insurance products to individuals and commercial insurance products to small to medium-sized businesses through a team of retail and wholesale agents. Also offers specialty products on an admitted and non-admitted basis, as well as through a network of program underwriting agents. Tremont International Insurance Tremont House, 4 Park Road, Hamilton HM 11. Phone 296-5788. Fax 296-7194. Now owned by Bermuda local insurer and pension provider The Argus Group. Offers variable annuities and life insurance products with a focus on hedge fund investment strategies. Formed in 1996 by Tremont, which offers hedge fund of funds investment management. Under the terms of the deal, Bermuda Life of the Argus Group took over all of the policy issuance and administration functions, while Tremont provides investment management services to the existing policy portfolio. Trenwick Group Rated A-. Was once one of Bermuda's top reinsurers internationally. Phone (441) 292-4985 or 292-9773 or fax 292-4878. A subsidiary is Trenwick America Reinsurance Corporation. Now in liquidation. Trip Insurance Company Formed 26 October 2001. Class 2. Formed December 2011 as a Special Purpose Insurer by the Horseshoe Group, by of the largest family office investors in Japan, a $30-million catastrophe re/insurer. With a mandate to write property and casualty risks as well as to invest in cat bonds, industry loss warranties (ILWs) and sidecars. UBSURE Bermuda Broker, formed July 14, 2010. Union Hamilton Reinsurance Bermuda reinsurance subsidiary of Wells Fargo. Ultimate Insurance Formed November 15, 2002. Class 2. Upsilon Re Bermuda-domiciled, since December 2011, as a Special Purpose Insurer for Renaissance Re. Since 2012. Renaissance Re's additional Bermuda-domiciled special purpose insurance vehicle to create more reinsurance capacity for the global retrocessional reinsurance market. Capitalized by both private investors and Ren Re deploying $185 million of fully-collateralised reinsurance capacity. Managed by Renaissance Underwriting Managers and may raise additional capital and provide additional fully-collateralised reinsurance capacity if market opportunities exist. USA Risk Group P. O. Box HM 1838, Hamilton HM AX. Member of the USA Risk Group. Validus Re Incorporated October 19, 2005. Class 4. 19 Par-la-Ville Road Hamilton HM 11. With about $1.5 billion in capital. One of Bermuda's biggest international insurers. Formed to sell short-tail policies, including property catastrophe, per risk, marine and energy, aviation, retrocession and other specialty lines. Incorporated by Jeffrey Greenberg and partners from Aquiline Capital Partners. Also with private equity backing from Goldman Sachs Capital Partners, Vestar Capital Partners, New Mountain Capital, and Merrill Lynch Global Private Equity. Vance General Insurance Company Formed 19 October 2001. Class 1. Vecta 1 Formed August 29, 2011 as a Special Purpose Insurer by Aurigen Services. Vigilant Insurance Co Formed 20 December 2001. Class 3. Volunteer Insurance Formed May 9, 2002. Class 1. Walter Investment Reinsurance Formed December 1, 2008. Class 2. Walton Insurance Cedar House, 41 Cedar Ave, Hamilton. A captive of Phillips Petroleum Co.
Watford Re Since March 2014. The multi-line reinsurer’s parent company is Bermuda-based Watford Holdings. Licensed as a Class 4 reinsurer by the Bermuda Monetary Authority. Product of a joint venture between Bermuda Class of 2001 re/insurer Arch Capital and hedge fund firm Highpoint. It reflects the trend in the Bermuda reinsurance market of increasing convergence between the capital markets and the reinsurance industry. A subsidiary of Arch will do the underwriting, while HPS — a subsidiary of Highbridge Capital Management, which has around $19 billion of assets under management — will manage the investments. WMA Life Insurance Company Owned by WMA Corporation of Georgia, USA. Life insurer. Western International Financial Group P. O. Box HM 2442, Hamilton HM JX. Insurance management and investments. Western General Insurance Owned by JP Morgan, Capital Z and Warburg Pincus. One of the principal Bermuda companies. Westmoreland Risk Management Formed 3 July 2002. Class 1. Whitehall Life Insurance Formed 21 December 2001. Class 3 and Long Term. Whirlpool Insurance Co. Formed 19 June 2002. Class 1. White Mountains Insurance Group 7th Floor, 42 Reid Street, Hamilton HM 12. Assets include CGU Corp, the US general business arm of UK-based Commercial General Norwich Union (CGNU). The group includes White Mountains Underwriting Ltd and Fund America Reinsurance Ltd.
Willis Group Holdings (WSH) F. B. Perry Building, 40 Church Street, P. O. Box HM 1995, Hamilton HM HX. World's third largest insurance broker, with offices in 74 countries. Companies include Willis Management (Bermuda) Ltd. Formed early 2001 to prepare for the move from United Kingdom to Bermuda. White Shoals Re Since June 23, 2011, a self-managed Class 3A re/insurer. Wilton Reinsurance Bermuda P.O. Box HM 3379, Hamilton, Bermuda HM PX. Tel: (441) 295-6752. Fax: (441) 295-6821. Par-La-Ville Road, Hamilton. Bermuda-incorporated and based in 2004. Long Term license. A life reinsurer. Parent at one time was Bermuda-based Wilton Re Holdings, owned by Minnesota-based Wilton Reassurance Company. March 24, 2014 - sold to Canada Pension Plan Investment Board in a deal worth $1.8 billion. The life reinsurance company focuses principally on the US life reinsurance market, specializing in the acquisition of in-force life insurance and annuities. As of September 30 2013, Wilton Re had $8.5 billion in total assets, $1.5 billion of equity and $120 billion of insurance in force. The reinsurer was acquired from investors including Stone Point Capital, Kelso & Co and Vestar Capital Partners Inc. The purchase was Canada Pension's first direct investment in the insurance sector. The transaction involves the 100 percent stock acquisition of Wilton Re Holding Ltd, a Bermuda insurance holding company and all subsidiaries within the Wilton Re Group, including Wilton Reinsurance Bermuda Ltd, Wilton Reassurance Company, Wilton Reassurance Life Company of New York, and Texas Life Insurance Company. This was then Canada Pension's largest public acquisition since it led a consortium to purchase Neiman Marcus Group Ltd in 2013. Wind River Insurance Company (Bermuda) Formed 20 October 2003. Class 3. Winterthur Atlantic Formed 13 December 2001. Class 3. Winterthur Integra Formed 16 May 2003. Class 3. Winterthur Life Corner House, 37 Church Street, Hamilton, HM 12. Phone 295-3366. Assumed the portfolio of Premier Life (Bermuda). Insures American Express card holders for optional flight insurance for up to $1 million dollars at a reasonable premium but excludes completely anyone who is a resident of Bermuda or Brazil. WLR Re Bermuda Formed November 25, 2009 by AG Management, Class 3. Wrenford Insurance Company Owned by a number of other companies including Rexnord, Dana, Head, and Beloit, and its purpose is self-insurance for its member companies. Beloit has all its casualty and product liability insurance with Wrenford and has found this is a money saver compared to placing the insurance with more conventional insurance companies. XL Capital Rated A+. One of Bermuda's top reinsurers internationally. XL House, 1 Bermudiana Road, Hamilton HM 11. P. O. Box HM 2245, Hamilton HM JX. Phone 292-8515. Fax 292-5280. All the other XL companies are also located there now too. They include XL Insurance Ltd; XL Re Ltd; Latin American Re Ltd; XL Financial Assurance Ltd; XL Financial Solutions Ltd; XL Investments Ltd; Element Ltd. Its liability in the tragic September 11, 2001 World Trade Center and related events exceeded US$700 million. Has raised $250 million in capital. One of the principal Bermuda companies. XL Insurance (Bermuda) Address as and subsidiary of above, but phone is 292-8515, fax is 292-1566 and P. O. Box is HM 3225, Hamilton HM JX. XL Re Latin America Address as and subsidiary of above, but P. O. Box is HM 3215, Hamilton HM NX, phone is 296-2776, fax is 292-1566. XL Life XL House, 1 Bermudiana Road, Hamilton HM 11. P. O. Box HM 822, Hamilton HM EX. Phone 296-4728. Fax 296-4733. XL Re Address as and subsidiary of above but phone is 292-1358. Fax 292-0876. Life and health reinsurance. XL Financial Assurance Address as and subsidiary of above but phone is 295-7135. Fax 296-4351. ZCM Insurance Company (Bermuda) Formed 12 December 2001. Class 1. Zurich International (Bermuda) One of the 10 Bermuda-based subsidiaries of the Zurich Group. The Zurich Centre, 1st Floor, Wellesley House, 90 Pitt's Bay Road, Pembroke HM 08, Bermuda. Telephone (441) 294-2400. Fax (441) 294-2401.